If you recently became a public employee in New York, you’re relatively new to the New York State & Local Retirement System (NYSLRS). You should know that you are covered by a retirement plan that provides important retirement benefits. And, while pension benefits top the list, there are other NYSLRS retirement benefits which can help keep you and your beneficiaries financially secure. If you are an Employees’ Retirement System (ERS) Tier 5 or Tier 6 member, you are covered by certain job-related death and disability benefits. A disability benefit, with 10 years of service credit, if you are unable to perform your duties because of a permanent physical or mental incapacity. A non-job related disability benefit after 10 or more years of service credit. You can learn more detailed information about your benefits by finding your retirement plan publication on our website. As a Tier 5 or 6 member, you will be vested once you have ten years of credited service. This means you are entitled to a NYSLRS retirement benefit even if you leave public employment before you are old enough to retire. Once you are vested, you are eligible to receive a retirement benefit as early as your 55th birthday. Your benefit will be based on service and salary earned when you were an active member with NYSLRS. Remember, your pension isn’t the only benefit of being a member of NYSLRS. Those disability and death benefits are important as well. And learning about all your NYSLRS retirement benefits is an investment in your financial future. Since we are committed to helping you make informed decisions about that future, please do not hesitate to contact us whenever you have questions about those benefits. As a NYSLRS member, you can look forward to your pension as one source of income. Your Social Security benefits will be another source. 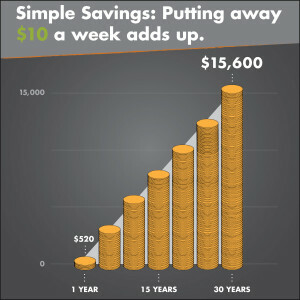 But as a new NYSLRS member who is considering a personal savings plan, the biggest benefit you have is time. Having time on your side to save for retirement is critical. But this benefit you provide to yourself is totally up to you. You have to take that step, so don’t wait, start saving for retirement now. A good financial planner, accountant or attorney can help you prepare for retirement, so you may want to consult with one to develop a practical plan that meets your needs and goals. Content last revised May 7, 2014. This entry was posted in General News, Members and tagged benefits, defined benefit plan, ERS, know your benefits, New Members, New York State & Local Retirement System, NYSLRS, Personal Savings Plan, PFRS, retirement plan, Vested on May 7, 2014 by NYSLRS.